When this building opened in January 2012, it was a dramatic addition to Toronto’s skyline. 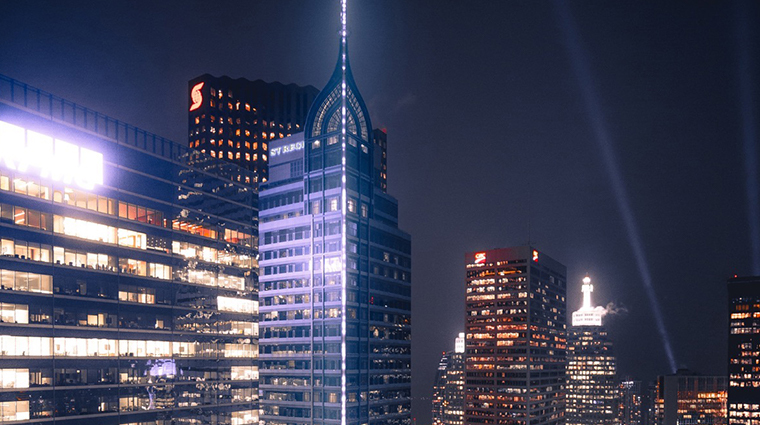 With its gleaming silver spire, The St. Regis Toronto is Canada’s tallest residential building and, at 900 feet, offers one of the city's highest peaks. 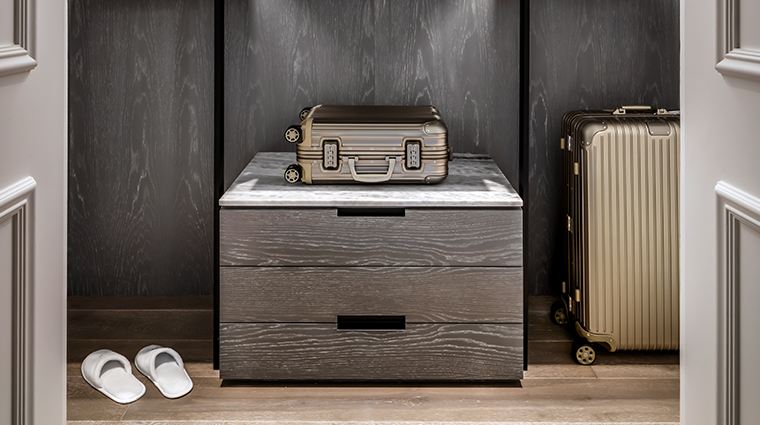 The new hotel is the first Canadian outpost of the famed luxury brand. It also sets itself apart through its top-notch amenities: a heated saltwater, infinity-edged lap pool with a view; a spa that serves wine and Scotch from its impressive collection; eager-to-help butlers and 24-hour concierge attention; and expansive suites furnished more like chic condos than hotel rooms. In short, visitors coming to Canada’s financial capital have a new luxury hotel to call home. A warm welcome awaits you at this Toronto hotel. There is no standing in a single-file line, waiting to be noticed; instead, staff members ask about your journey with genuine interest and provide you hot towels, along with sparkling or still water on a tray. 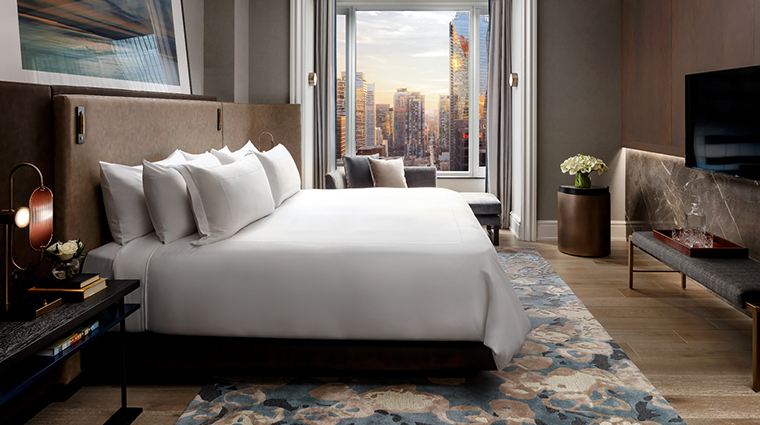 The style at The St Regis Toronto is deluxe, urban and modern, softened with classic touches of glamour that hearken back to the Golden Age of Hollywood. The designers’ color palette of caviar and champagne — the darkness of smooth black marble, contrasted against the frothy effervescence of white and pink accents — oozes luxury from every room of the hotel. On the 31st floor, enjoy a late-afternoon pedicure in a comfy black leather chair in the spa or swim morning laps in a shimmering, 61-foot pool as the sunrise gradually lights up the paler tones of saltwater, sandstone and white chaise loungers. The hotel’s central downtown location is ideal for shoppers in search of designer goods from The Bay, Canada’s largest department store; couples seeking world-class opera, ballet, symphony and theater performances in the nearby Entertainment District; and families looking for a stress-free weekend retreat from the hustle and bustle of modern life. Be sure to linger by the reception desk to admire the wall-sized cherry blossom sculpture made of more than 6 million carats of Czech crystals. The Hockey Hall of Fame, a major tourist draw where you can kiss the Stanley Cup, is but a five-minute walk away from the luxury hotel. The St. Regis is also steps from the city’s efficient subway system and its old-fashioned streetcars, waiting to whisk you off to your next Toronto adventure. Rooms and suites at are expansive, with 14-foot ceilings and tall windows that let in ample natural light. 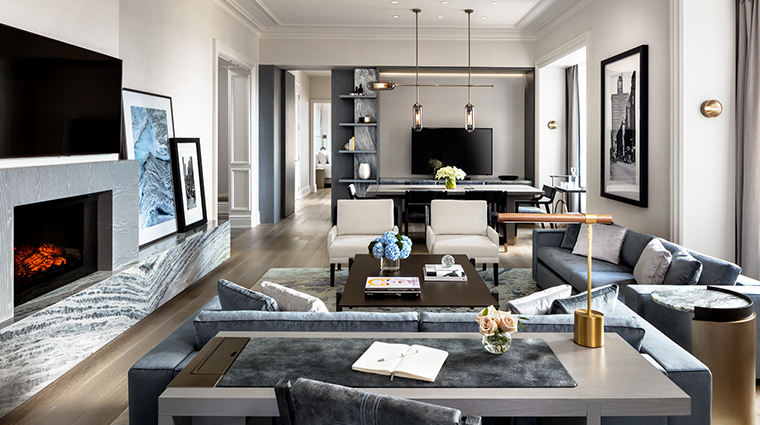 You’ll find crystal wall sconces and soft plush couches, tufted leather headboards and white Carrera marble; on the walls, look for silver-framed, black-and-white photos of old Toronto, taken when horses, rather than financiers, traveled up Bay Street. The hotel also adds 21st-century touches, such as drapes that close with the touch of a switch, Nespresso coffee machines in the snack nooks, in-mirror TVs in the bathrooms, heated marble floors and a gas fireplace in every suite. The 550-thread-count Italian sheets and Serta beds allow for peaceful sleep. On the 31st floor, Louix Louis turns out a mix of French and American food (with some global influences) amid gleaming gold in its dramatic dining room for breakfast, lunch and dinner. At Louix Louis, expect dishes like Dover sole meunière deboned tableside and the Louix Burger with triple-cream Brie and tomato compote tucked inside a brioche bun (branded with the crowned Louix Louis logo, of course). The Grand Bar shakes up lesser-known cocktails, like the Adonis (dry oloroso sherry, sweet vermouth and orange bitters), which was invented in 1884. Astor Lounge serves as an all-day dining venue with a more relaxed setting in the hotel’s lobby. Come here to see the nightly champagne sabering, a St. Regis ritual.